Born near Baldur on 5 September 1907, son of Franklin A. Bateman and Emma Murray, brother of James I. Bateman, he spent his youth at Baldur, Portage la Prairie, and Duluth (Minnesota) before coming to Brandon to attend Normal School. Starting in 1926, he taught at Shergrove School, Arrow River School, Brandon Central School (1931-1935), and Brandon Collegiate (1937-1939) while also working as a truck driver and heavy equipment operator, spending two summers working on the Alaska Highway. He later took a position as Principal at The Pas School (1939-1945). In 1945, he was appointed School Inspector for Northern Manitoba, based at The Pas. 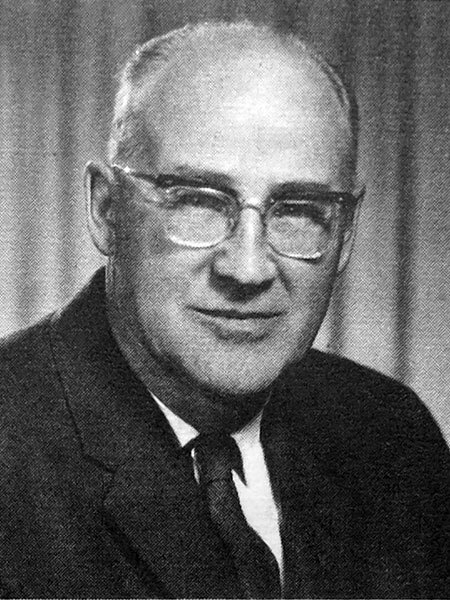 In 1948 he moved to Winnipeg to work for the Manitoba Department of Education, later being appointed Deputy Minister of Education, from which he retired in 1979. From 1967 to 1974, he served as Chairman of the Universities Grants Commission. He was given an honorary doctorate by the University of Winnipeg in 1974. He died at Brandon on 8 April 1996 and was buried in the Brandon Cemetery. He is commemorated by Scott Bateman Middle School in The Pas. “University to honour five Manitobans,” Winnipeg Tribune, 4 October 1974. Obituary, Winnipeg Free Press, 13 April 1996.